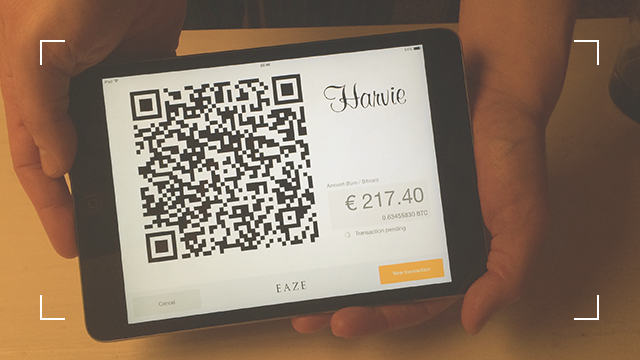 At EAZE we are determined to make your favourite digital wallet wearable and make payments actually fun and pleasurable. We use cutting edge technology and the latest wearables to make this possible. 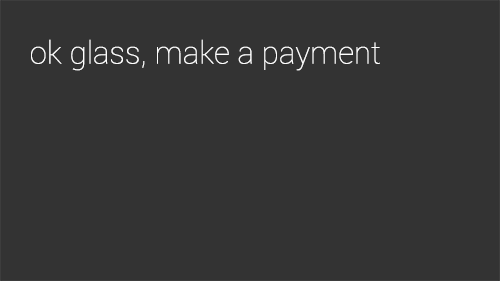 With Nod To Pay we make payments available on Google Glass. We currently support the wallets of Blockchain.info and Coinbase. Paying with “Nod To Pay” is truly frictionless. You can use your favourite wallet already at thousands of bitcoin enabled businesses around the world. We will be adding various currencies and devices in the near future. 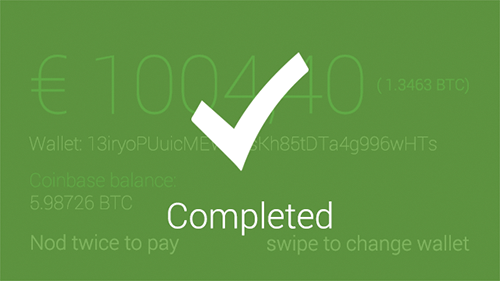 We currently support the wallets of Blockchain.info and Coinbase. Paying with “Nod To Pay” is truly frictionless. You can use your favourite wallet already at thousands of bitcoin enabled businesses around the world. We will be adding various currencies and devices in the near future. After registering on the EAZE website you are able to download the Glass app. You then connect your Blockchain.info wallet or your Coinbase wallet to your EAZE account here on the website. Once you have added your wallets you sync your Glass by scanning a QR code. Your wallets are then available through your Glass. This means that you can access your existing wallet and do payments through Glass. Protect your wallets by manually setting a spending limit which is protected with a code (PIN) protected. Follow the businesses you care about if you want to stay up to date and receive personal promotions. We are continuously rethinking how we can make payments easier, using gestures, proximity and other technologies. Pay for things together and make person-2-person payments among friends. 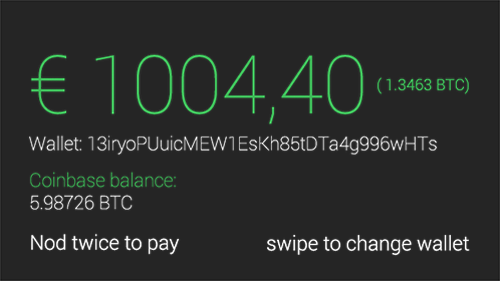 We are extending our wallet to Android, Android Wear, iOS and Nymi soon.